We release regular updates to our themes and plugins to account for bug fixes, new feature integrations, and more. We often announce product updates on our blog, in our members-only Facebook group, or via email. However, the best way to stay up to date on product updates is straight from your Dashboard! 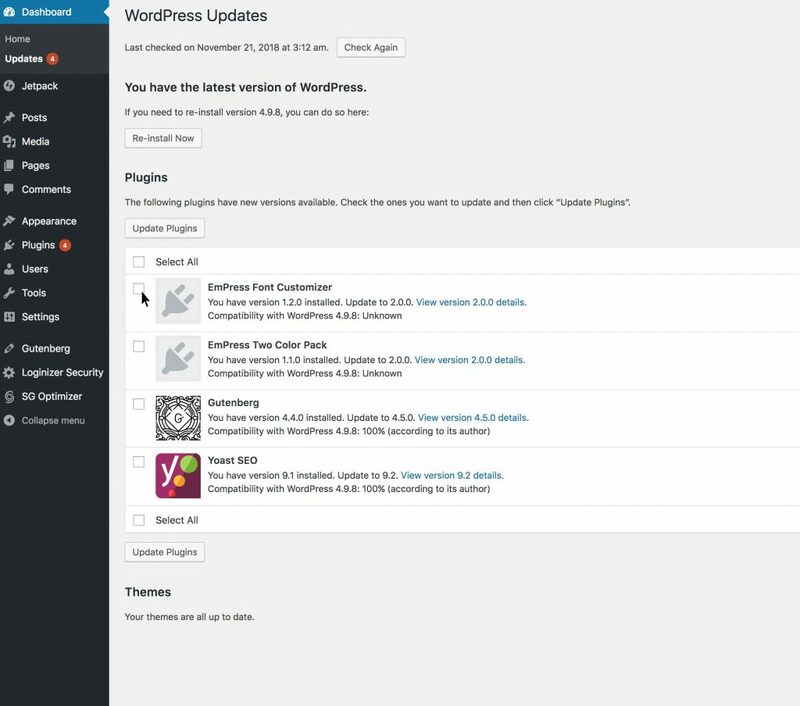 If you have activated your product license keys, you will also see a prompt to update your theme when you log in to your WordPress dashboard. Don’t see any updates? Be sure you have activated your product license keys, so the latest version of each product can be delivered straight to your Dashboard. 1. Look for the orange circle next to the Updates tab in your Dashboard. This should be nested below the top level “Dashboard” tab—you may have to click on Dashboard to expand the section. 2. In the screen that loads, look for any theme or plugin updates listed. We always recommend updating each item individually, versus all at once. That way, if there’s a conflict with one of the items you just updated, it’s easier to isolate which one caused the problem. 3. 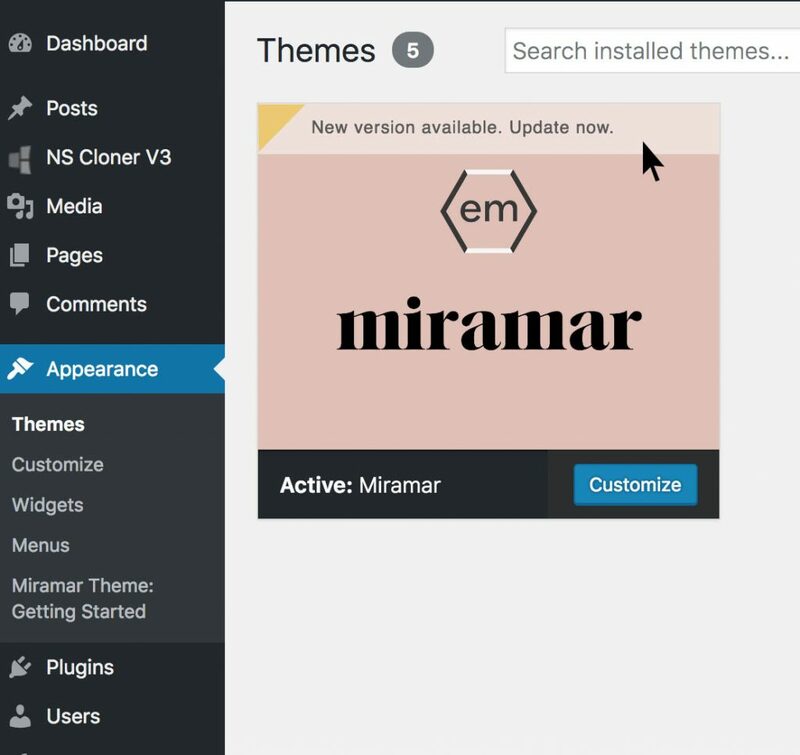 Your theme and/or plugin is now updated! 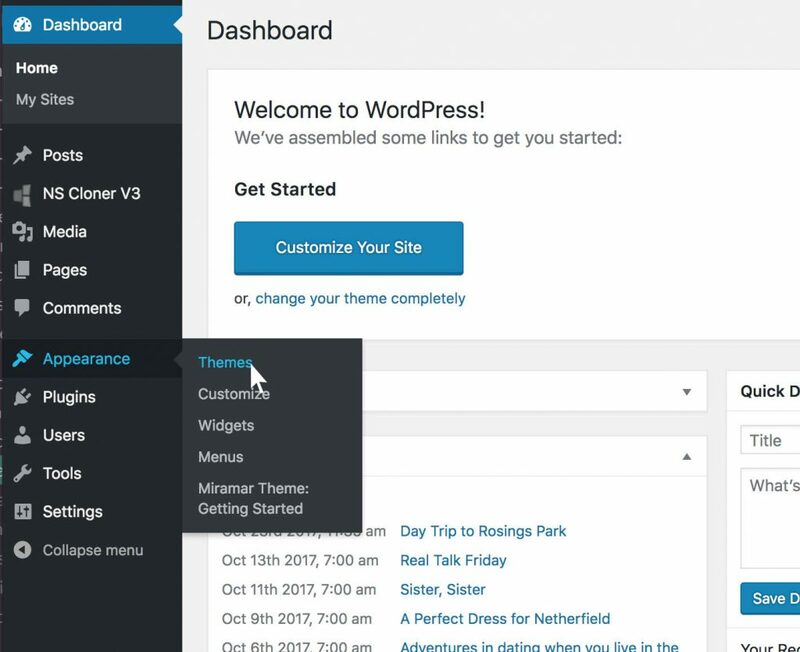 All the new features should be integrated into your blog. 1. Navigate to the Themes page, by going to Appearance > Themes. 2. Any available theme updates will be highlighted on each thumbnail. Simply click the prompt to update the theme. 3. Your theme is now updated! 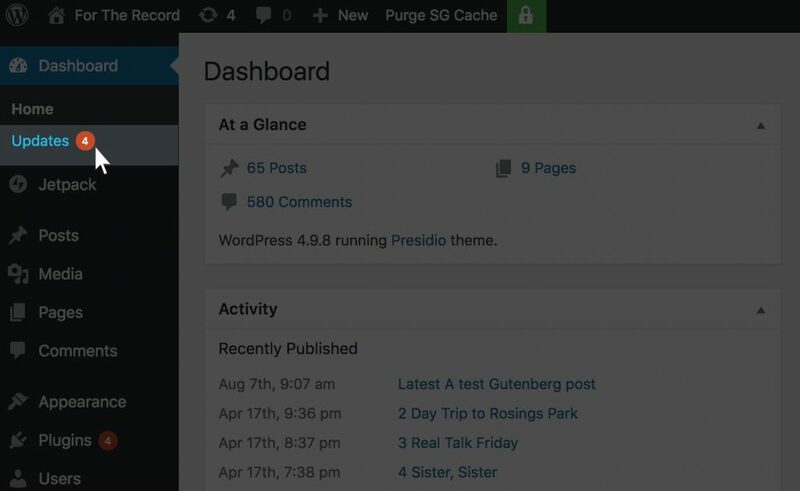 All the new features should be integrated into your blog.